I read Jennifer Finney Boylan’s memoir She’s Not There: A Life in Two Genders years ago and was quite moved by it. 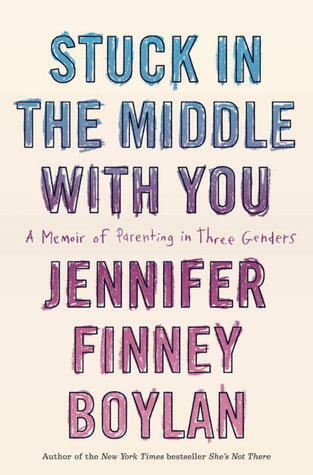 I was excited to receive an advance copy of her new memoir, Stuck in the Middle with You: A Memoir of Parenting in Three Genders, which releases later this month. Boylan’s voice is kind, open-hearted, and never judgmental. There is a touching example of this right away, in the memoir’s first several pages. Boylan is not a radical, militant activist; she’s not trying to win our approval. She is simply herself. No matter how different the reader may feel he/she is from the author, it quickly becomes apparent that we and our families are all “nontraditional” in our own way; but we have so much more in common. Boylan has a way of pinpointing just how profound some moments in a parent’s life are. She speaks of parenting in such an honest, open way. She is brave enough to say things I wish other parents would admit more often. I highlighted so many sentences that were an encouragement to me as a mom. This memoir is a thoughtful exploration of the way gender roles affect the way we view ourselves as parents, and the way we view our own parents. What qualities make a woman a mother? A man a father? What criteria should we use to define ourselves, and where should that come from? 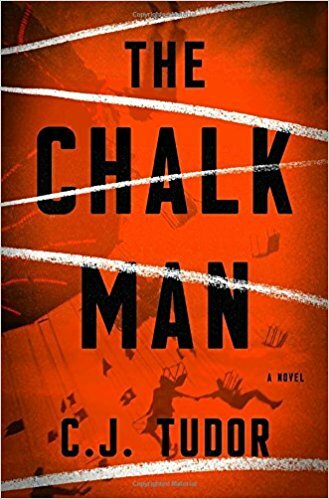 Although Boylan’s transition from man to woman may have sparked these questions, I found it worthwhile to allow myself to challenge common attitudes and responses. Often the things people typically use to define “womanhood,” for example, alienate large groups of women (myself included). Boylan has an incredibly balanced view, fair to all, and shows how gender is a much more complex topic than many have considered. I loved the layout of the book. Boylan breaks up her own narration with “time outs” (that made me chuckle) featuring interviews with others about their own families. She didn’t need to do this. Her writing feels very fresh and would have been just as much a joy to read straight through. But it worked, and it was nice to have that change of pace periodically. The people she interviewed – Augusten Burroughs, Richard Russo, and Ann Beattie, to name only a few – are incredibly varied in their experiences, but these conversations also gradually and gently exposed common threads. I also enjoyed the afterword: Anna Quindlen’s interview with Jenny and her wife, Deedie; it made me want to reread She’s Not There. Boylan’s reflections on parenting are frank and deeply perceptive. I laughed and I cried. Stuck in the Middle with You is a powerful book that encourages us to be true to ourselves, and connect with each other not through labels, but as fellow human beings.